LaLa Little Lovebird: My little Leviathan. Or you can call him Levi for short. 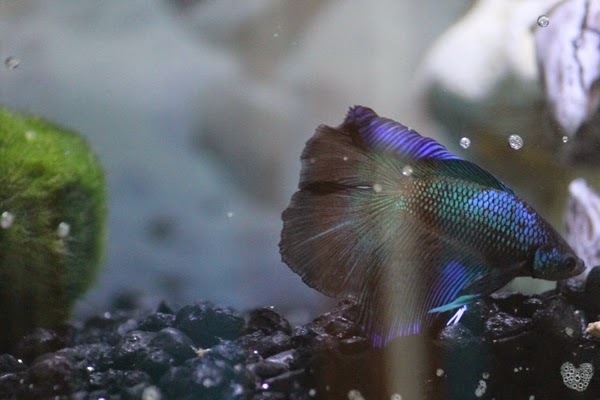 I got my little betta fish June 16th. At the pet store he looked like this in that little cup of his. 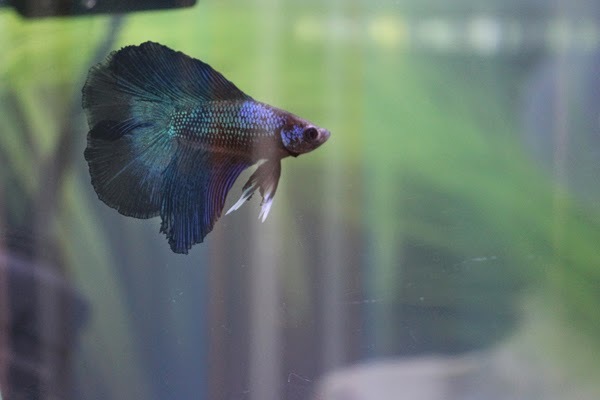 So I already thought he was pretty nifty, I knew he was probably pale from being stressed and you can almost see his stress stripes there. 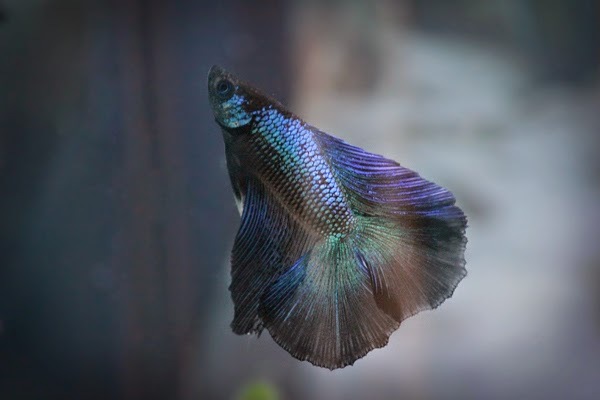 But for the most part I was thrilled he looked like he had just swam through an oil slick and I loved him already, he was a lively little bugger. Then went the hour long trip from the pet store to our house in which he was not necessarily a happy camper. 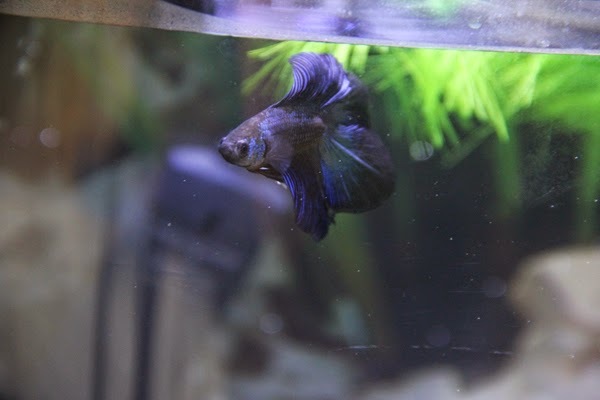 I quickly set up his tank, I let him get acclimated to the water and plopped him in his little tank and within an hour of being in his heated tank he looked like this. It's amazing to see what a difference a little proper care makes. 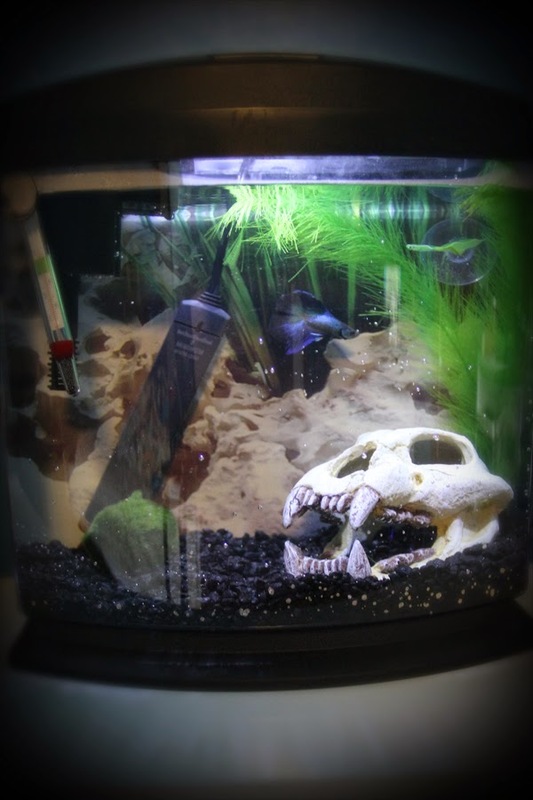 Fish are just as good of pets as any other pet out there and should have proper care given to them AKA NO BOWLS. 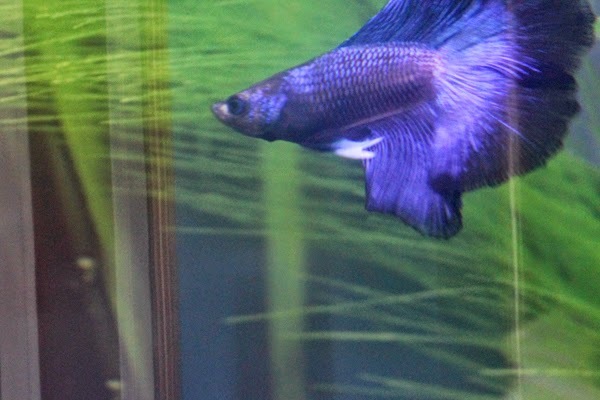 Leviathan is a good example of what a little TLC can do for any pet, just look at him. 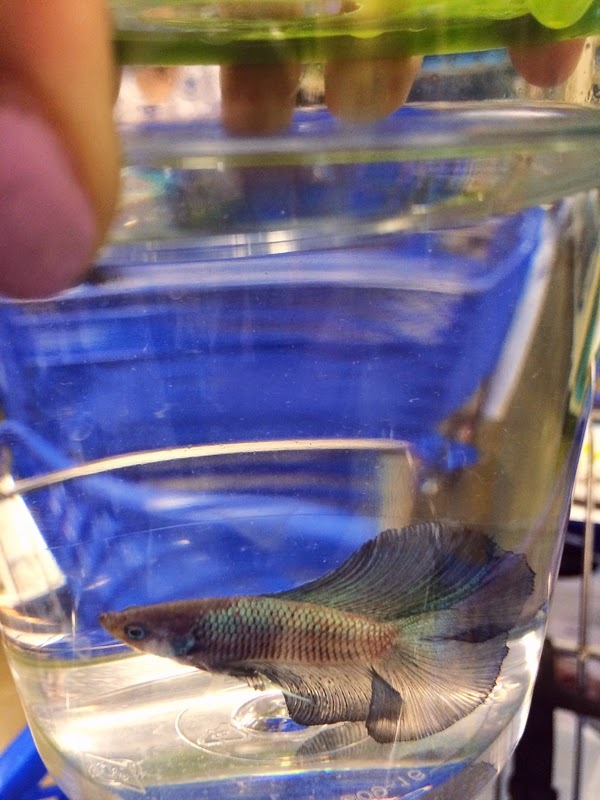 Also, I'm 99% sure he's made of magic, he seemed to change colors every time I tried to take a picture. 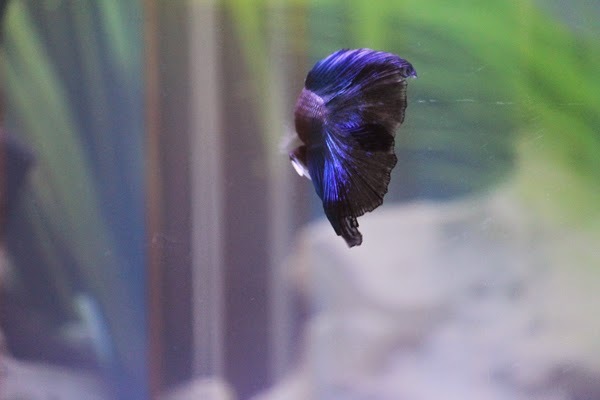 He's a happy lively little guy that gets super excited every time I approach the tank he darts to whatever direction I'm at and continues to follow me as much as he can.